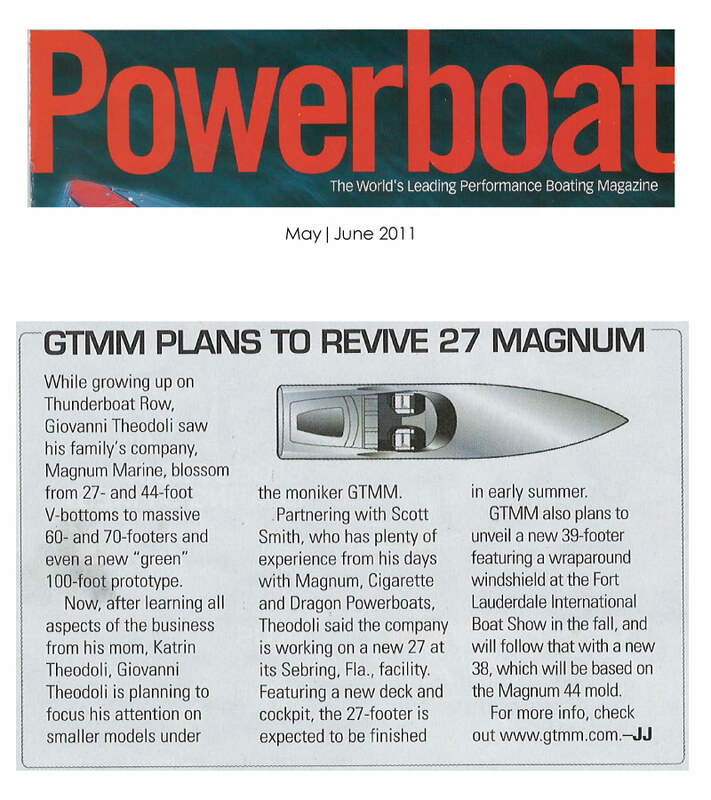 The GTMM 27′ will be based off the original 27′ Magnum design. 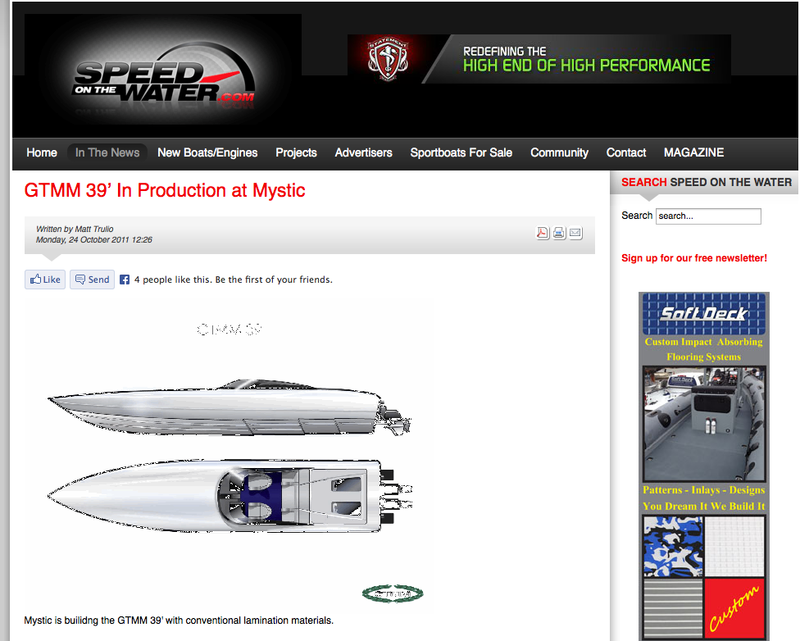 Mystic Powerboats in Deland, Fla., will build the first 27-foot and 39-foot V-bottom performance boats for Giovanni Theodoli Marine Manufacturing headquartered in Sebring, Fla. Based off the 39-foot Dragon hull—GTMM acquired Dragon’s hull and deck tooling—the 39-footer will be unveiled at the Fort Lauderdale International Boat Show later this month. 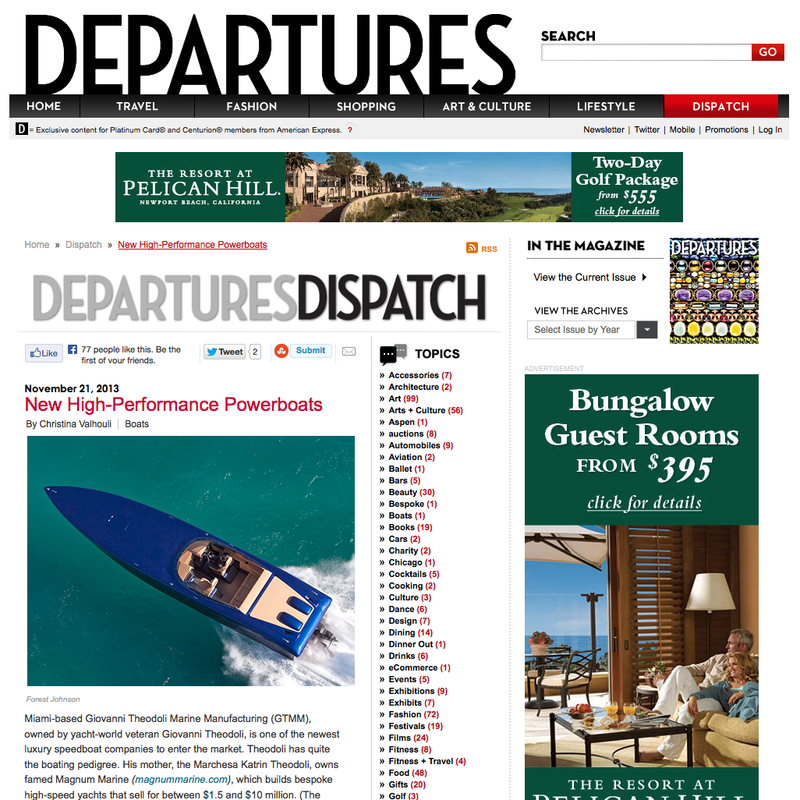 The 27-footer, which is based off the hull design for the 27’ Magnum that Theodoli also purchased, will debut at the 2012 Miami International Boat Show in February. The GTMM 39′ will be built from modified tooling for the 39′ Dragon. 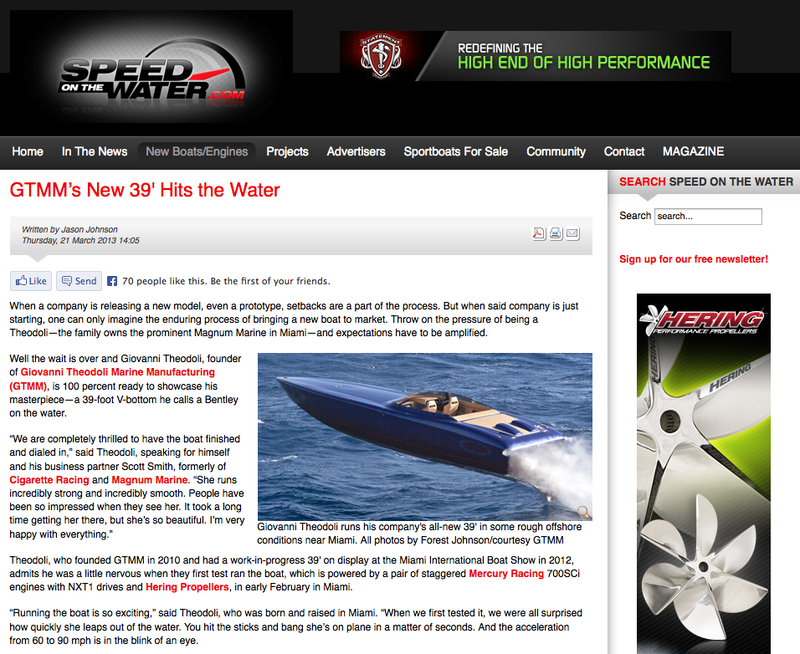 The son of Katrin Theodoli, the owner of the famed Magnum Marine high-performance boat and yacht company in Avenutra, Fla., Giovanni Theodoli grew up working in his family’s business. 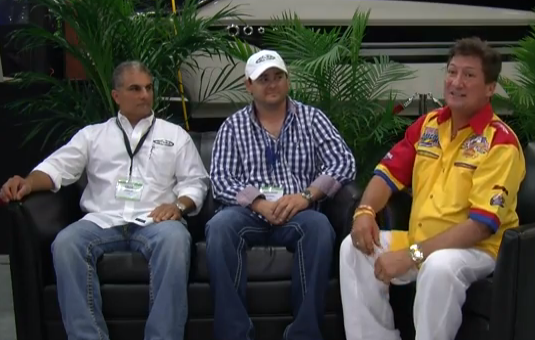 There he met Magnum’s production manager, Scott Smith, a former offshore racer and vice president of sales and marketing for Cigarette Racing Team. 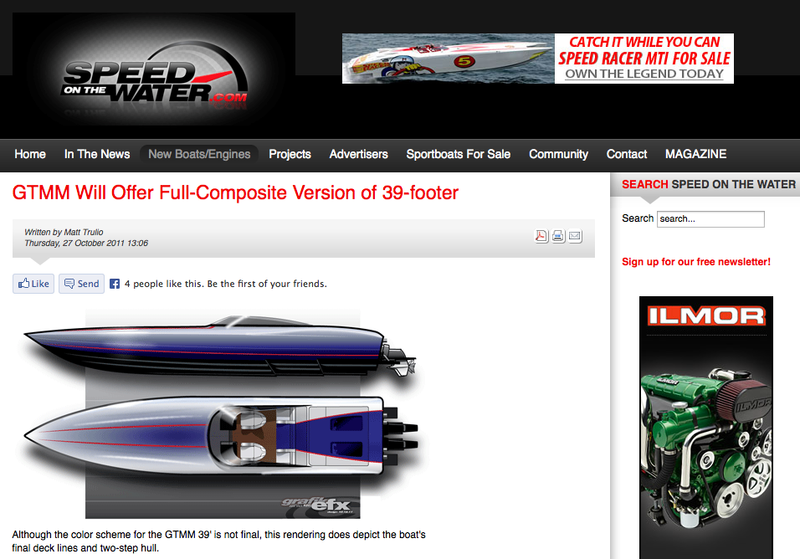 Theodoli and Smith, who co-owned Dragon Powerboats with industry notable Craig Barrie, became partners in GTMM when they launched the company in early 2011. “All of what we’re doing with GTMM is the vision of Giovanni Theodoli,” said Smith. 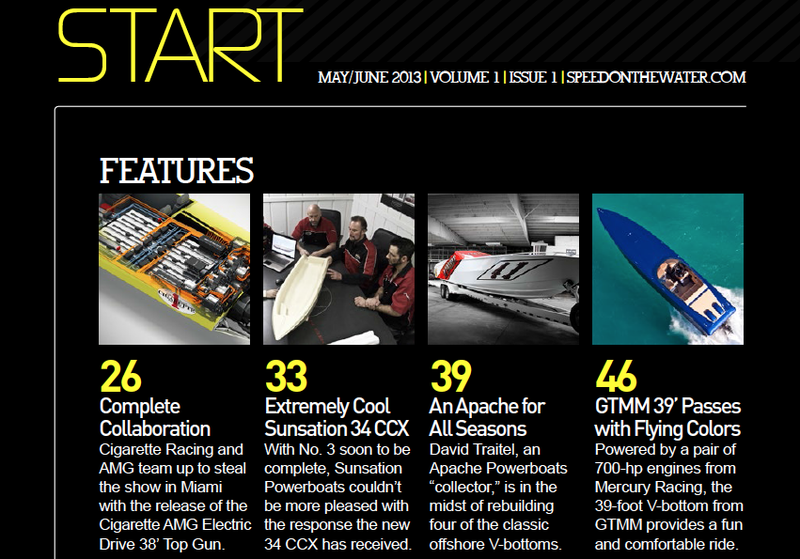 “We are dedicated to creating custom performance-boat masterpieces of the highest quality, anywhere.